Momentum Solar sells and installs solar energy systems for both residential and commercial clients, and is the fastest growing solar energy company in the United States. While Momentum’s business was growing exponentially, it’s digital presence had not kept pace. As a result, consumer engagement was extremely low and the ratio of site visits to qualified leads was not acceptable. Moreover, the opportunity management infrastructure was not designed to be efficient enough to scale at the rate the company was growing. 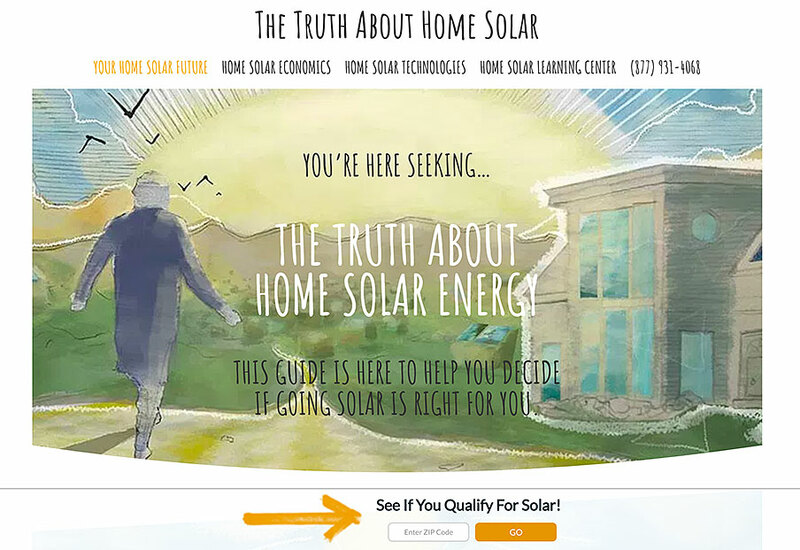 Momentum Solar retained Lenker Consulting in order to design and implement two world-class websites: An engaging and visually-arresting company site, and a valuable, well-crafted educational site that nurtures audience interest while generating qualified leads. It also retained Lenker to analyze its opportunity management infrastructure and make recommendations for a fully redesigned system based on the Force.com platform. Since Lenker implemented its solutions, customer engagement has risen over 800%, more leads are being generated, and more opportunities are materializing into successful deals than ever before.